1.4 The Impact of CO2 Retention. Examining the human factors influencing diver perceptions of susceptibility to nitrogen narcosis. 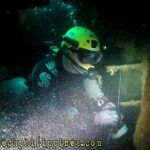 Nitrogen narcosis is a hyperbaric neurological phenomenon. Its existence, symptoms and onset are known, even if medical science has not yet explained the physiological mechanisms causing it. Individual susceptibility to the effects of nitrogen narcosis varies in severity across individuals. It is also inconsistent in onset for a given individual on a given day. It has been shown that the level of narcosis potential for a particular inert gas stems from its lipid solubility; the efficiency of a gas in diffusing into fatty tissues (i.e. the brain tissue) in the body. The most recent research is studying the effects of lipid-dissolved inert gasses on neurotransmitter receptor protein mechanism in the brain. 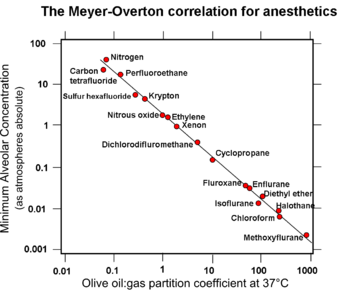 Meyer/Overton proved that narcotic potency of an anaesthetic gas can generally be predicted from its solubility in oil. 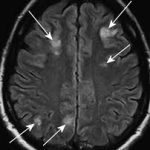 Variance in individual blood-brain chemistry and/or neurological make-up obviously play a role in nitrogen narcosis susceptibility. 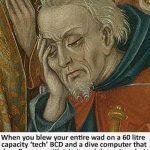 Nonetheless, it remains a known neurological occurrence that effects any diver subjected to an elevated partial pressure of inspired nitrogen. Be under no illusions, narcosis effects humans as soon as inert-gas partial pressure begins to increase, from immediately below the surface and increasing in severity as depth/ partial pressures increases. 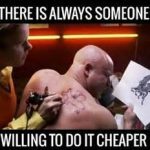 We all get narc’d…and that starts a lot shallower than many divers are inclined to believe. The greatest variation between divers is the individual perception of susceptibility to narcosis. This is the person’s awareness of when, or if, they are suffering a decline in mental cognizance due to elevated nitrogen partial pressure. One of the problems with gauging perception of susceptibility to narcosis is that of misleading education. Nitrogen narcosis doesn’t really conform to the classical “martini rule” that many instructors use as an analogy to describe the issue. The ‘martini rule’ is a baseless lay-theory which states that narcosis effects divers on a par with drinking a martini for each atmosphere (i.e. 10m/33ft depth) of pressure increase. A weak or inaccurate analogy used by diving instructors to describe the symptoms of nitrogen narcosis causes divers to often fail in accurately diagnosing its onset. If divers don’t feel ‘drunk’, then they don’t perceive that nitrogen narcosis is affecting them. That is not to say that nitrogen narcosis doesn’t amplify the moods or emotions of a diver. But these are just one distinct sub-set of a much wider, and more subtle host of symptoms. 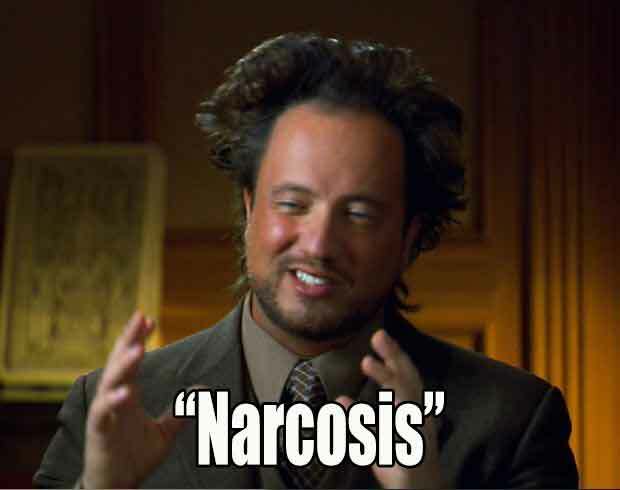 If divers actually believe that narcosis presents only through symptoms understood from the analogy of alcohol intoxication, then they will miss all of the more insidious signs and symptoms that otherwise indicate reduced mental faculty. There are, I strongly believe, also ‘placebo effects‘ because of this alcohol intoxication analogy. I’ve seen divers ‘acting drunk‘ underwater at mediocre depths; just as I’ve seen kids ‘acting drunk’ when unknowingly imbibing non-alcoholic beers at parties. The placebo effect is well understood and researched in relation to alcohol. I’d suggest the same effect occurs with some divers in relation to nitrogen narcosis. 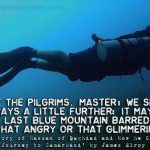 Placebo effects aside… Narcosis is insidious because the very effect of reduced mental perception inhibits the diver from being aware of the decline in their intellectual capability. It’s difficult to gauge a decrease your IQ. In short, dumb people don’t understand they are dumb. 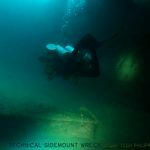 What matters, from a safety perspective, is whether the diver remains functional at a given depth; regardless of reduced mental performance (noticed or not). 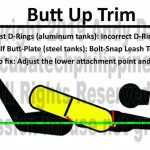 By ‘functional’, I mean retaining sufficient competency to apply the necessary skills and protocols needed to sustain diver safety given the parameters and relevant hazards of the dive undertaken. There has been a substantial debate on whether certain divers develop an immunity to narcosis, or a capacity to operate effectively even when nitrogen narcosis is present. Neither of these theories reflects the neurological imperatives of how narcosis effects consciousness. 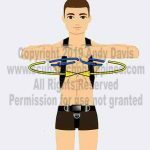 I would suggest that the answer to differing performance levels under narcotic influence lies in what performance functions are affected, not which divers are affected. I believe that retained functionality under the effects of nitrogen narcosis stems greatly from the degree to which diving skills, drills, protocols and procedures are ingrained to an autonomic (unconscious or involuntary) level. Reduced mental faculty impinges less on functions that are ingrained deeply as a second-nature to the diver. Often, only when the diver observes impairment to autonomic capabilities do they perceive the impact of narcosis. 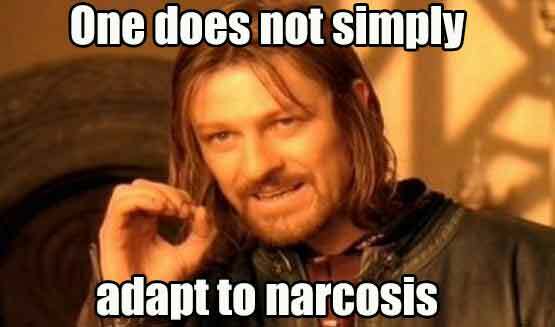 The need to problem-solve, or the presentation of novel situations, brings a much more immediate perception of narcosis impairment. This, in principle, is a situation where the diver becomes aware that they should be able to achieve something but struggles to do so without obvious cause. For a novice diver, with few ingrained second-nature capabilities, the perception of narcosis occurs quickly – at shallower depths. 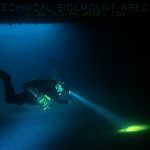 Mild narcosis exposes the fact that they are still problem-solving, rather than unconsciously performing, rudimentary diving functions. 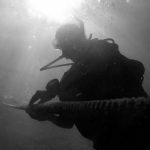 As a diver gains experience and undergoes (effective) training, a wider spectrum of competencies are made second-nature and performed unconsciously. More skills are ingrained. More problems are encountered and overcome; becoming planned reactions rather than novel issues to be solved. However, diving competencies fall into two categories; fundamental and specific. Fundamental competencies are things like buoyancy, trim, situational awareness and gas management. 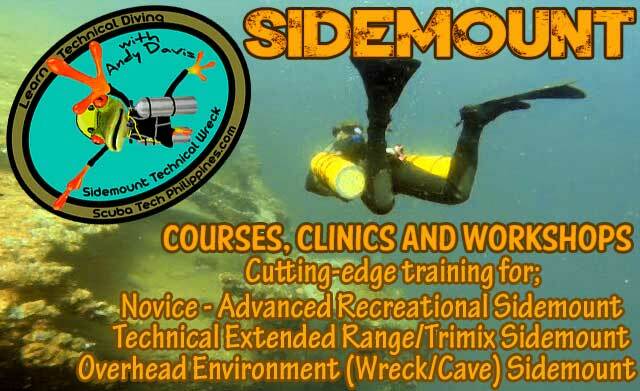 Specific competencies are those necessitated by the respective hazards of the dive environment and/or the tasks to be completed on the dive. 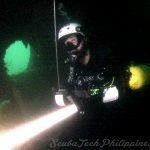 Examples of these might be guideline procedures in cave diving or gas-switching procedures for decompression diving. 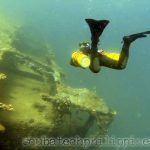 As such, diving competency must be considered relevant to the level of diving undertaken. 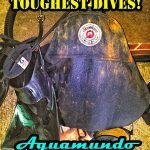 An Advanced Open Water diver with weak foundational competencies can be just as narcosis compromised as a cave diver with weak specific competencies. 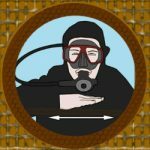 Where the novice recreational diver might forget to check their air supply, the novice cave diver might deviate from proper guideline protocols. The same effect occurs, regardless of the level of skills compromised. 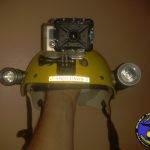 Routinely employed dive functions don’t expose narcosis impairment until that impairment reaches a very severe level, whereby the narcosis degrades actual autonomic dive functionality. 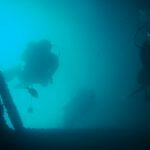 In contrast, novel problems arising during the dive expose narcosis impairment more obviously. Perceptions of narcosis impairment vary greatly. 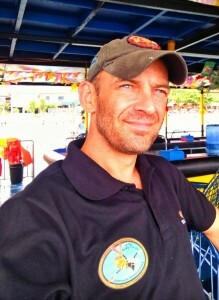 I believe that diver experience and competency play a major role in that perception. The Impact of CO2 Retention. There is increasing debate on the impact of CO2 increasing narcosis. I don’t doubt that CO2 retention significantly increases the severity of narcosis and reduces the depth of onset. CO2 has the effect of increasing blood flow to the brain, which exaggerates the effects of other inspired gasses. By itself, CO2 also has a very high narcotic potency; 20x higher than nitrogen, due to its much higher lipid solubility. Again, the effects of CO2 retention favours those with more diving experience and skill. Within the parameters of a given dive; skill and technique can modify the need to resort to physical exertion. Workload decreases. Breathing techniques are better. Stress management is improved. Experience acquisition tends towards better self-awareness; in particular, the recognition that respiration becomes elevated and the wisdom that exertion needs to be reduced or stopped. An experienced, skilful, diver is more likely to manage their CO2 retention more effectively than a less experienced, less skilled, diver. This might play a large role in deciding the severity and perceived onset depth of nitrogen narcosis. 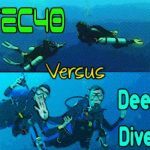 What Others Are Reading Scuba Q and A: How Deep Can You Dive Using Air? All of the preceding issues factor into a very personal decision needed on narcosis management. The competency to make decisions on narcosis management becomes clearer as experience and skillfulness develop; relative to a given level of diving. To the casual observer, deep air diving may seem like a very ‘do as I say, not as I do‘ attitude by higher level divers. 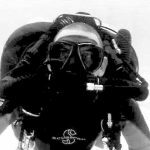 Indeed, even the definition of what constitutes ‘deep air’ diving is subject to great debate – for the reasons outlined already in my article. Setting mandatory maximum narcotic depths (max ppN2) under-estimates the very real relationship between narcosis impairment and the level of autonomic dive skill acquisition. It is, however, a logical approach for diving agencies who have to consider a cross-spectrum of divers and diving competency levels. The hazard of narcosis is relevant to the degradation of competencies necessary to preserve safety on a given dive. 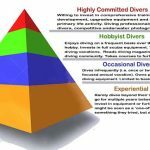 Fully understand the skill competencies necessary for the dives you undertake. 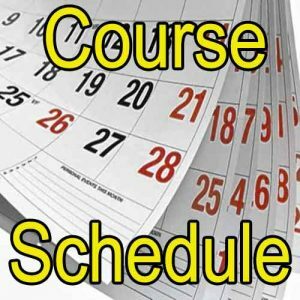 Consider the degree to which you have ingrain those competencies into autonomic functions. Experience acquisition precludes the need for problem-solving. If you perceive any impairment to your expected diving competency, assume it is narcosis impairment. 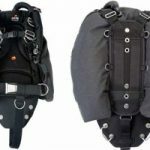 Abort and/or ascend if diving functionality is compromised by narcosis.